Replacing your bathroom vanity can change the entire design of a bathroom. 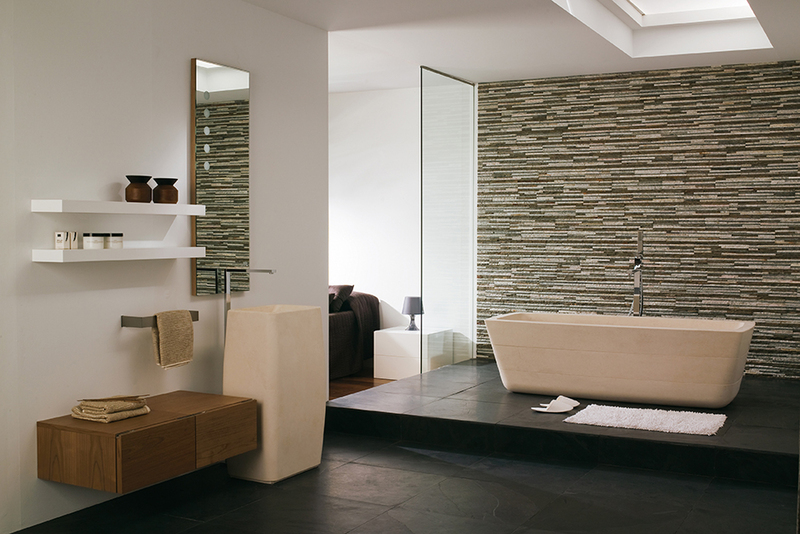 It can make your bathroom ultra-modern, provide more space or perhaps even just the illusion of more space. With the new technology in bathroom designs, bathroom appliances are no longer called ‘plain’, leaving designers with an overwhelming choice of options. Porcelanosa companies, Gamadecor, Noken, Lantic and Systempool have joined forces and found the perfect balance between form and function. Providing a large assortment of vanities varying in style, material, color, size and installation there is an option for even the most fanciful of design needs without compromising on storage. The intuitive soft closing draw system along with standard high quality hinges make their vanities not only gorgeous but extremely durable. Before beginning your search for a new vanity you should consider what you hope to accomplish with your design. Are you looking to change your bathroom space by putting in a modern vanity with vessel sink or do you prefer a more traditional bathroom? Are you looking to create more space? Do you need two sinks instead of one? Deciding exactly what you hope to accomplish with your bathrooms makeover will help you narrow down your options when looking at the enormous list of choices before you. 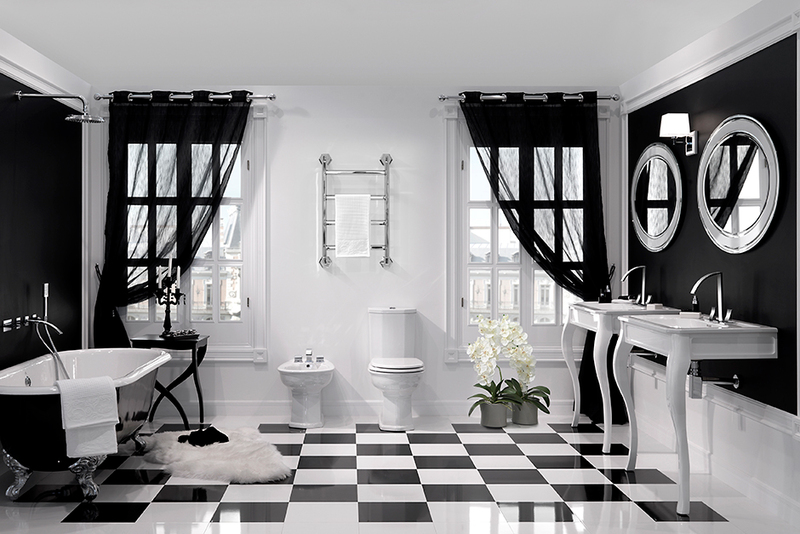 With the right choices a smaller bathroom can still be luxurious or at the very least provide an illusion of more space. 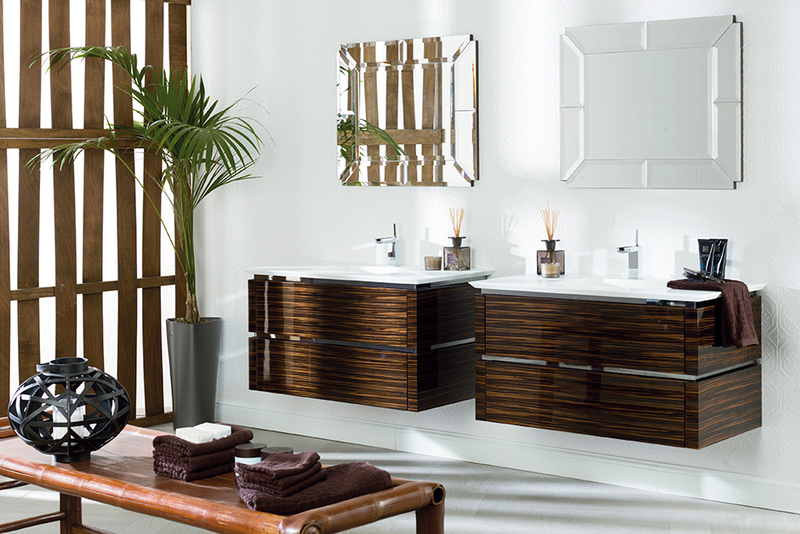 Wall mounted vanity’s tend to provide the illusion of more space, as they don’t reach the floor giving a bulky look. Opting for a vanity with a vessel sink atop can also make a bathroom appear more spacious, as it keeps the countertop low providing more open space at the line of sight. 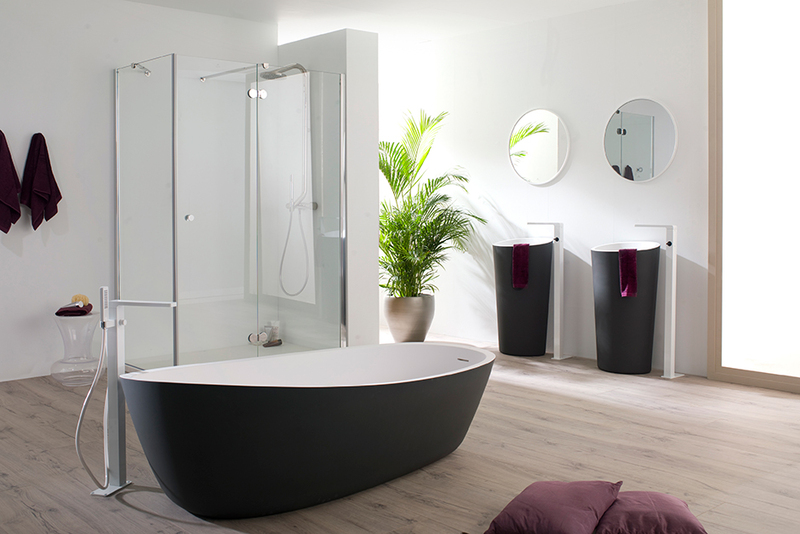 A great option for smaller spaces is Noken’s ‘Lounge Mini’ that is wall mounted complete with vessel sink. Another option would be to forgo a traditional vanity and use a freestanding sink. Here you would need to utilize one of Porcelanosa’s additional storage solutions but, the sleek long body of a freestanding sink generally takes up a great deal less space than the traditional vanity. Depending on your design direction, L’Antic’s natural stone ‘Phucket’ sink or Systempool’s Krion® solid surface ‘Almond’ would be ideal solutions. 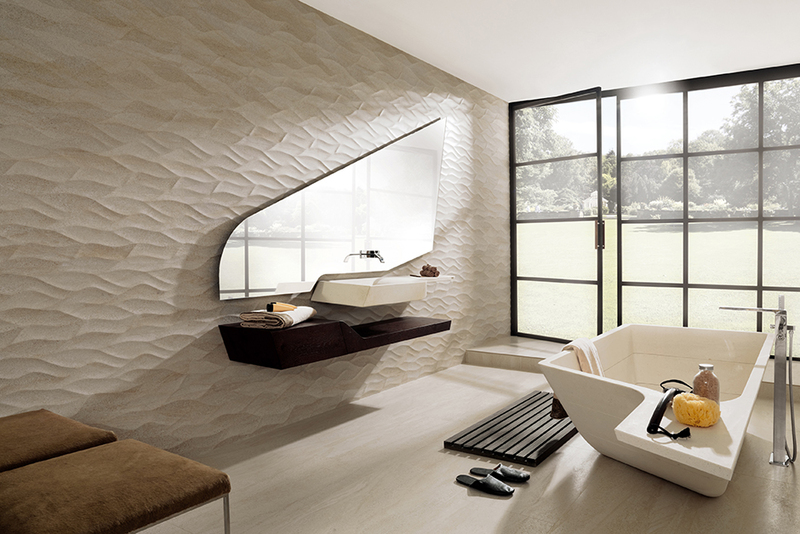 Keeping in mind that not everyone’s style is created equal, Porcelanosa’s two firms made sure to create a style for everyone. Channeling a more traditional vibe the pedestal sink ‘Piano’ by Gama-decor shows off elegant curves paired with a marble counter-top, whereas Noken’s pedestal sink ‘Imagine’, although still very traditional, provides a simpler design making this particular choice perfect for people with varying tastes. Going to the other side of the spectrum, many designers are opting to go with something ultra-modern and unique such as Lantic’s ‘Spirit’ vanity. This natural stone vanity comes available in two sizes and can be completed with the unique ‘Spirit’ mirror coordinating with the chosen base. 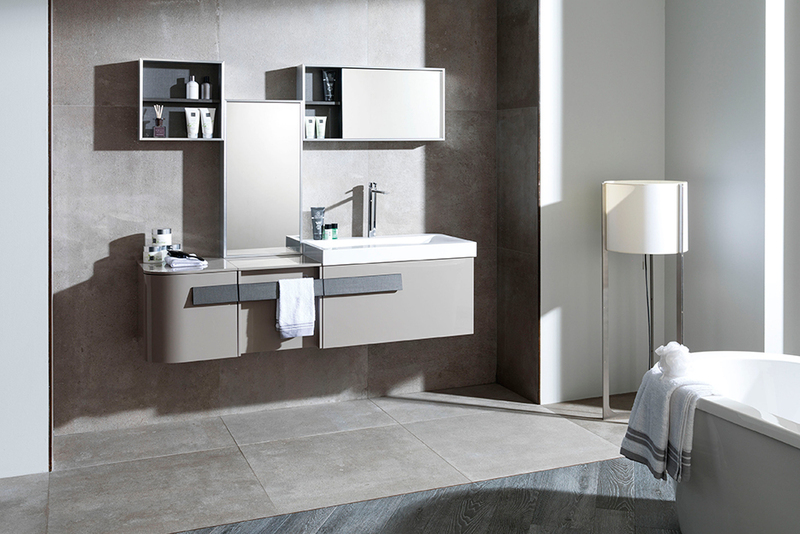 Some of Porcelanosa’s vanities have been completed with a counter-top/sink utilizing Systempool, a Porcelanosa company brands, Krion® Solid Surface material. 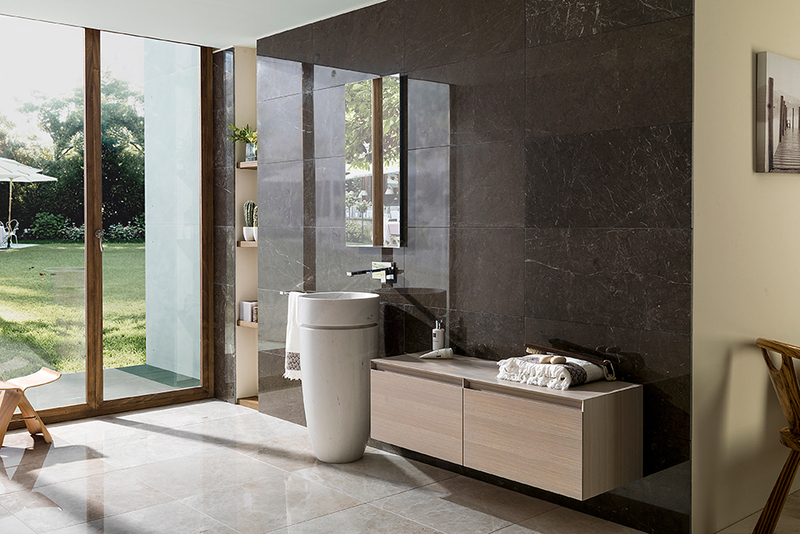 Krion® is one of the most durable materials that Porcelanosa manufactures being seamless, fire resistant and stain, smell and chemical resistant. The material is virtually indestructible and suits the wear and tear of bathrooms perfectly. Some of the vanities Porcelanosa offers with a Krion® solid surface counter-top are: Gama-decor’s ‘Wind’, ‘Travat’ and ‘Chic’. 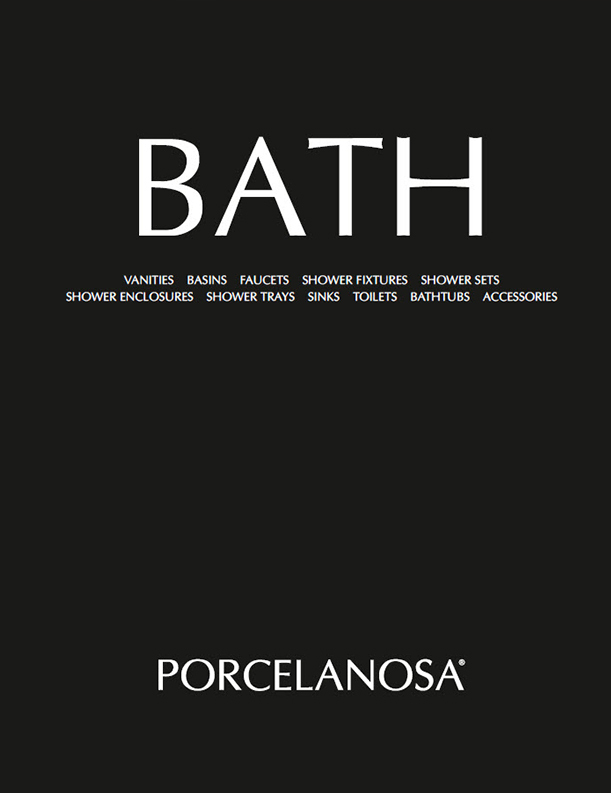 Be sure to browse all of Porcelanosa’s vanities and find the one that’s best suited for your space. Utilizing Porcelanosa’s newest vanity filters, you can easily search by double or single sink options, the size and even design style which makes finding exactly what you need even easier.